A quick one to kind of get back into digital painting. I just haven't been in it the past few weeks. 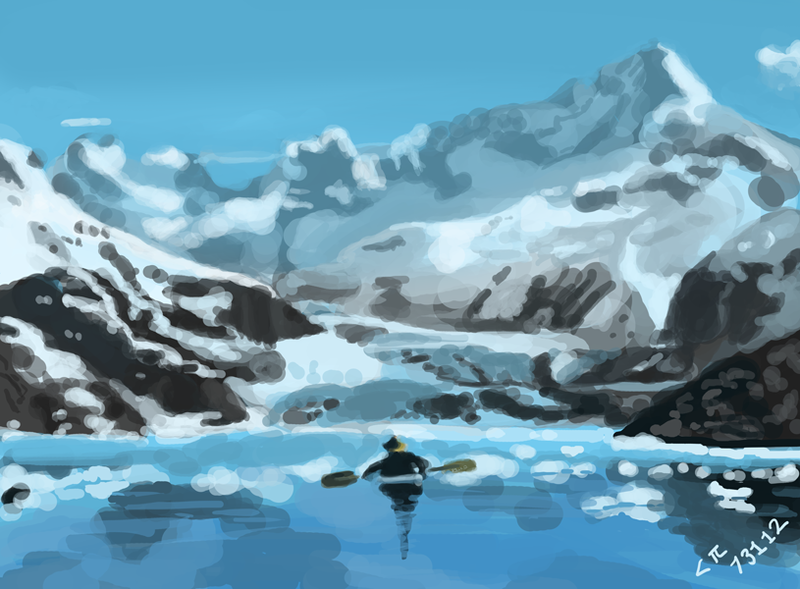 Learned a fair bit her tried to make use of atmosphere to indicate depth found out a bit about mountains and snow, reflections, and all in about 45 minutes! I'll be throwing it up on YouTube. I'm not sure of what kind of schedule I'll be doing as far as video uploads go since I want to start using more of my free time to do personal pieces for portfolios and such. I have been doing a lot of traditional work while I was away, so I'm thinking of a way to get that out there for you guys to see. I may do a sketchbook video and see how people enjoy it. A lot of things to consider and think about definitely let me know what you think. Comments, questions, suggestions? Leave them below for me. God bless, thanks for your time.